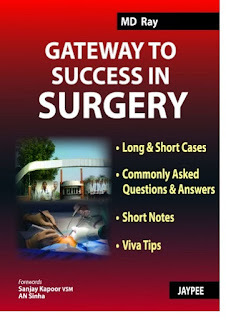 The book “Gateway to success in surgery” provides 49 case studies about the surgeries in various tumor diagnoses. The format is given in question and answer form as it provides a wide thought full area of discussion. The book provides all the possible examination type questions and answers in order to help the students to get through the exam. The book covers 18 long cases, 24 short cases, and 7 pediatrics cases. Each case study contains detail practical discussion on the condition and a short note on them for theoretical knowledge. Long case is very important part in surgery examination. Long cases include abdominal lumps, surgical obstructive jaundice, cystic lump abdomen, left iliac fossa lump, epigastric lump, and hepatic mass, renal lump. In the short cases history is minimally relevant and negative history except some important once are focus ignored. 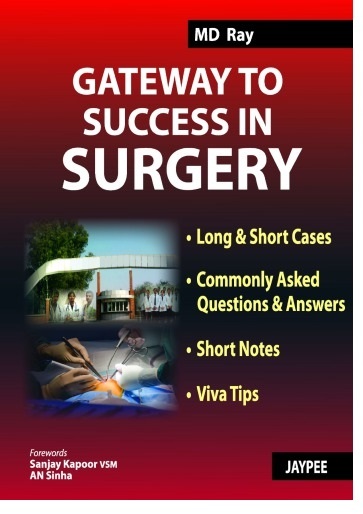 Some of the short cases that are discussed in this book are carcinoma breast, solitary nodule thyroid, cervical lymphadenopathy, inguinal hernia, hydrocele, and many more. Cleft lip and cleft palate, hypospadius, undescended testis, etc are some of the pediatrics cases discussed in this book.